Simply email us a good quality digital photo, and we’ll post you a good quality picture puzzle! (or you can collect it in JHB). We show our prices for all the world to see, because we have nothing to hide! We are proud of our great prices. Prices for photo puzzles or picture puzzles. 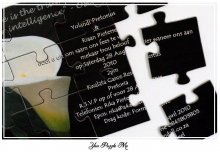 We like to think of ourselves as the photographic jigsaw puzzles company in South Africa, that will offer you either the BEST PRICE, or the BEST QUALITY. As such, if you have a formal quote from another company that have offered you a better price, send it to us, and we will try and GIVE YOU A LOWER PRICE. If for some reason we can’t improve on the price, then we will certainly offer the BEST QUALITY possible! 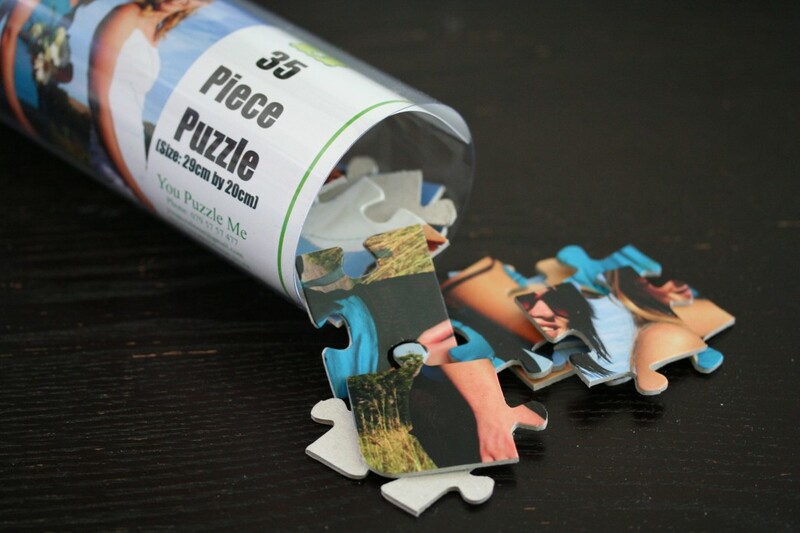 Photographic jigsaw puzzles are packaged in a cardboard box, with a full colour label printed and mounted on the lid. Option A (standard): Packaged in a clear pvc tube with a full colour label insert. Note: Clear tubes are 70mm diameter. Puzzles 9 to 35 piece packaged in tube 130mm high. Puzzles 90 to 180 piece in tube 220mm high. You Puzzle Me cc is not registered for VAT, so prices are complete. Regarding copyrighted material: By submitting photos or artwork, you represent that all appropiate consents for reproduction have been obtained, and furthermore indemnify You Puzzle Me cc from any legal action that may arise from reproduction. Regarding artwork: Please leave 5mm bleed on all sides, because we will shave off edge of picture when cutting puzzle. Supply artwork as high res JPEG or PDF. Some cropping may be needed to fit puzzle to dimensions.